Jetpack by WordPress adds powerful features to your website including customization, traffic, mobile, content, and performance tools. Certain themes come with the plugin preinstalled and activated. Jetpack provides powerful features to your website such as customization, content tools, visitor engagement, site performance and security. 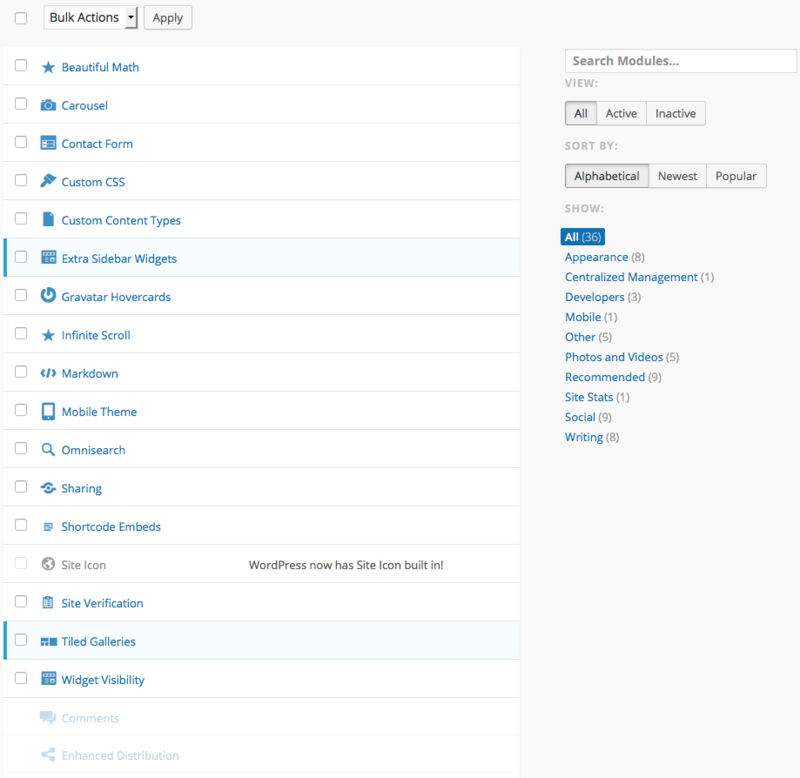 The Jetpack settings can be accessed under Jetpack > Settings in your WordPress dashboard. This settings panel can be used to activate and further configure any Jetpack feature you’d like to include in your website. 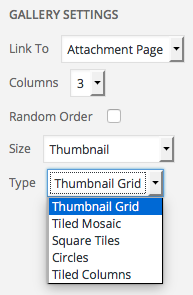 Then, the WordPress gallery feature is enhanced with the following options. For detailed documentation on every feature of the plugin, you can visit the Jetpack official site.